Michel Giovannucci took up the management position at AGS Algeria in January 2016, and immediately became fond of the AGS team who works under his leadership. Michel Giovannucci took up the management position at AGS Movers Algeria in January 2016, and immediately became fond of the AGS team who works under his leadership. Michel, who has always had an interest in people, particularly took notice of the domestic worker, Kheira Sahnoune’s circumstances. 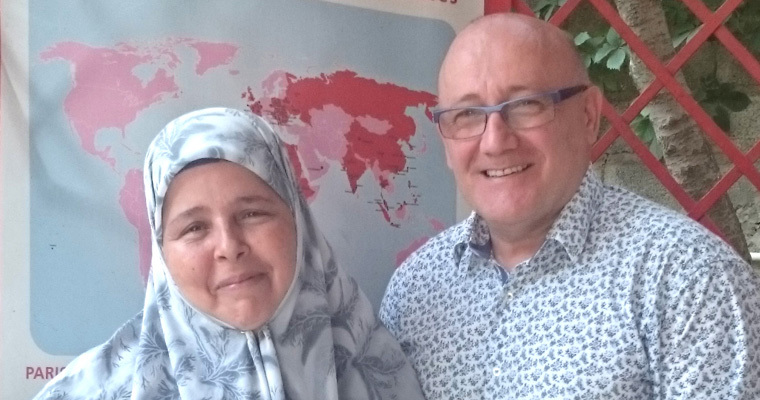 Kheira, a 54 year old woman, was divorced and has been working at AGS Algeria since 2004. She has three children and suffers from health problems that require treatment and physiotherapy. Her health issues are aggravated by the fact that her house has no heating and winter temperatures in Algeria can sometimes drop to five degrees Celsius which can exacerbate her condition. Michel immediately recognised Kheira’s need and decided to lend a helping hand. With the help of AGS Algeria, Michel had a gas stove and a refrigerator installed in Kheira’s home.